Rilee Photography is a family owned partnership of professional photographers, Damian Riley and Trevor Lee, who have been mastering their photography craft through a combined 20+ years of work. The gears and levers of the business are handled by: Hannah Lee who curates and crafts all of the social media, and Andrea Riley, who puts together all the logistics and bookings of shoots with our clients. For us, most days are the challenges of being parents, and the added bonus is bringing everyone in on the adventure of photography. It’s a lot of work, and we really strive to ensure that our skills are demonstrated in each and every photo we provide. But, we also like to keep things simple and fun! We want to make sure we deliver photos that capture your unique personality and beauty. There is no venue out of our reach. Whether it's big city, small rural town, snow covered mountain top, or Yosemite wedding photography—we will capture any special event or moments with care, professionalism and attention to details. Please feel free to contact us. We would love to discuss your special day. Ohio native, Trev Lee dropped out of college and enrolled himself in Hallmark Institute of Photography within six months of getting his first camera. 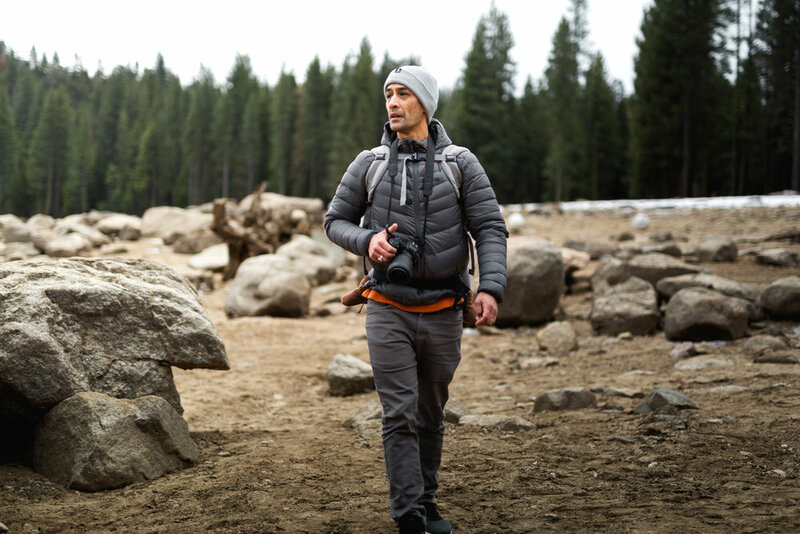 What began as a means of self-expression became a passion and a craft when his love for adventure drew him west to Yosemite National Park in 2013. It was there his particular interest in analog photography developed and flourished. The delayed gratification and lack of instant feedback that comes with shooting film, not only honed Trev's skills but taught him to trust his abilities. During his time in the valley, Trev used his photography as a means to get to know people and encourage others to get outside their comfort zones and explore. Beyond its vocational purpose, Trev ultimately sees photography as a way to connect with others, experience new places, and tell a story. Trev's work has been recognized and published by Sunset Magazine, Outside.com, Travel + Leisure, and BBC Travel, and he has worked with REI, Visit Montana, & Tenaya Lodge. Is a Yosemite National Park Native (American) Me-Wuk, who's love and passion for the outdoors and adventure has been a constant through his entire life. Creative photography drives him forward and onward to locations all over the world capturing photos, video and a good story. With thousands of hiking miles under his feet and a passport that has a current odometer of 37 countries, there are many places still left to be explored but fewer than he would like. His techniques and methodologies to capture stunning photography are unique and unorthodox. Taking an approach to photography from the standpoint of progression rather than chasing shots. A firm believer in letting the subtle beauty of a photo unfold naturally. Applying skill honed from street, fashion and journalistic photography. His attention to detail and going those few extra miles, always shows through in his photos.